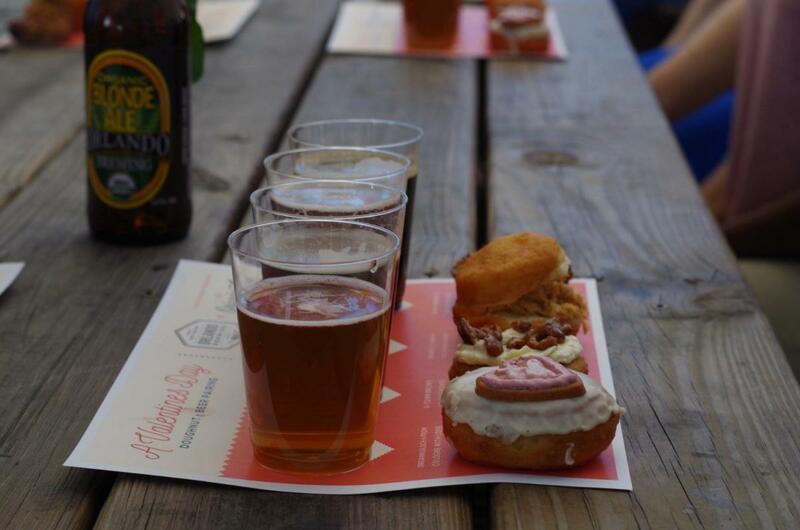 We're excited for our next guided doughnut & beer pairing with Orlandough! Dig into organic mini doughnuts paired perfectly with four of our organic brews (5 oz sampler glasses) at this guided pairing. We're excited for our next guided doughnut & beer pairing with Orlandough! Dig into organic mini doughnuts paired perfectly with four of our organic brews (5 oz sampler glasses) at this guided pairing.